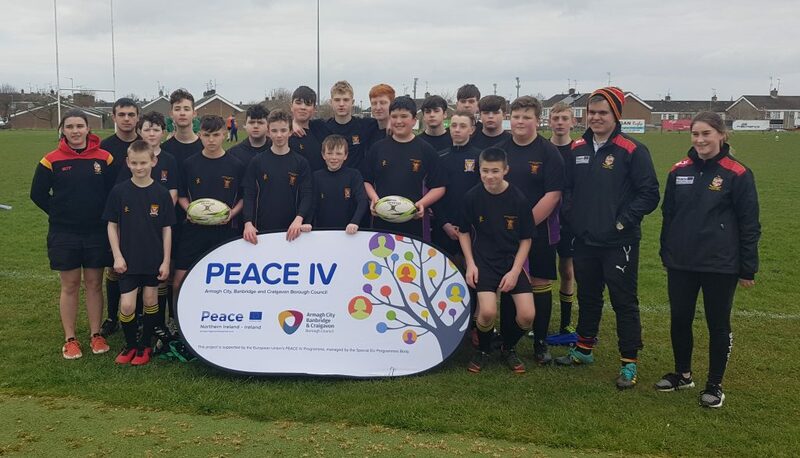 Today, 20 rugby players that have been attending the Peace IV rugby programme after school, attended a rugby blitz hosted by Lurgan Rugby Football and Cricket Club. Our boys were joined by Lismore Comp, St Ronan’s and Craigavon Senior High for blitz tag rugby games. It is hoped that after another block of training the boys will return for another blitz session. Thanks to Jordan and Tia for their organisation with the boys today.